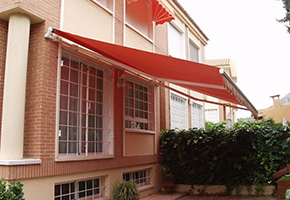 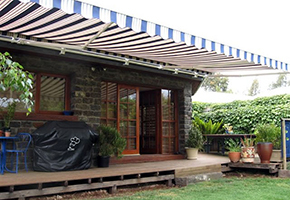 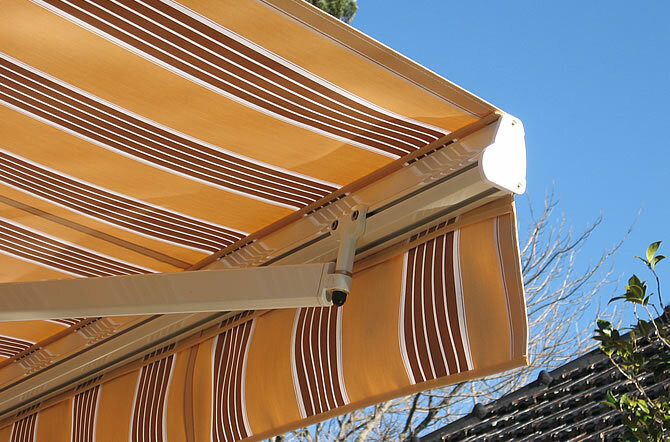 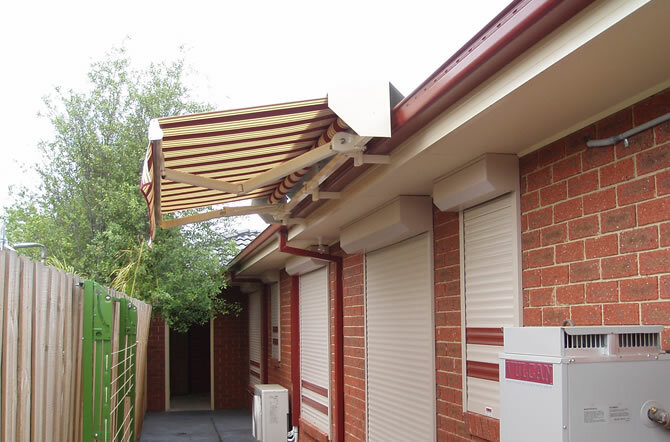 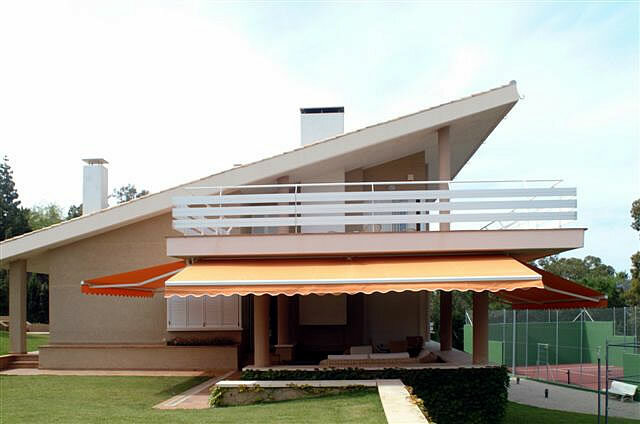 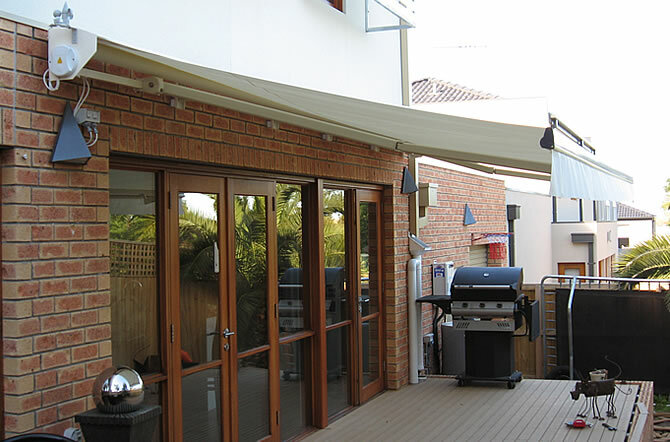 Mediterraneo M2 folding arm awnings add charm to any setting whilst providing a perfect indoor-outdoor environment for entertaining, day or night. 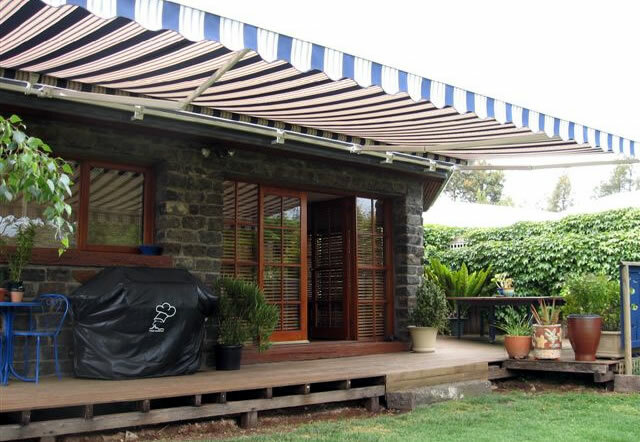 With a plethora of colours, plains and distinctive stripes, you are able to create the mood that reflects your individual taste. 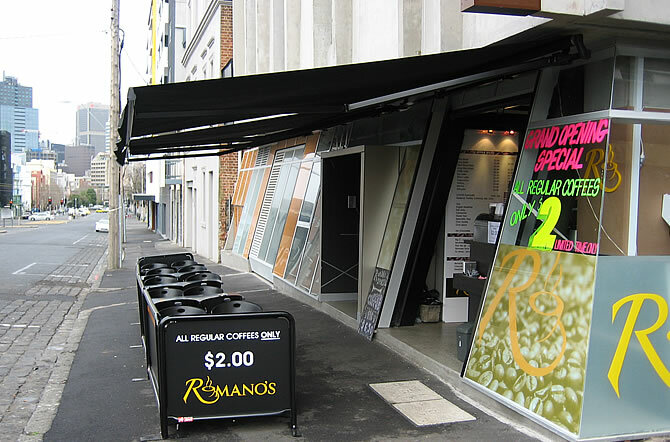 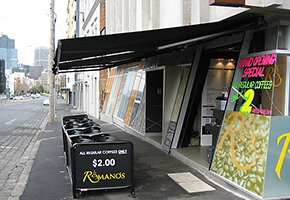 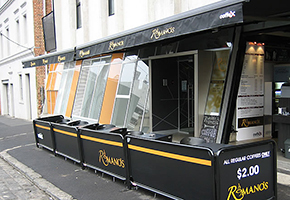 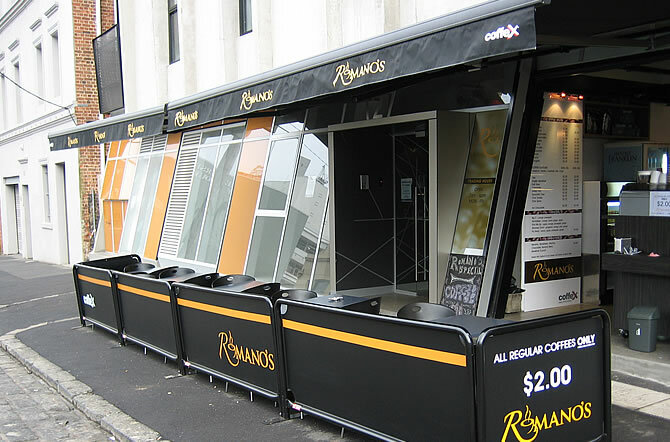 Restaurants and retail chains are able to use their sunshade as an advertising sign by featuring company names, logos, nationally recognised brand graphics and phone numbers to further enhance their position and presence. 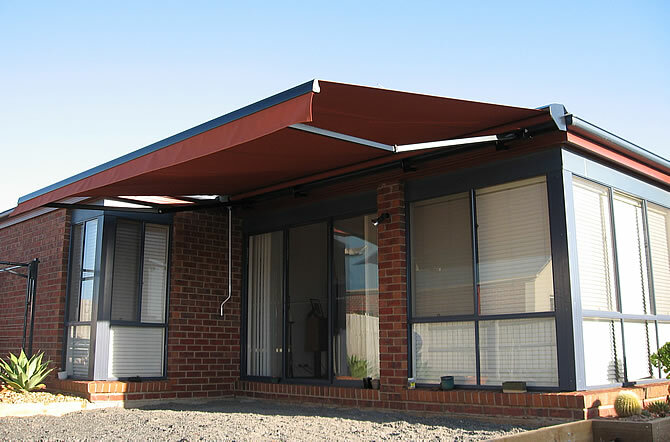 Complement your home or business in return for style and function all at an affordable price. 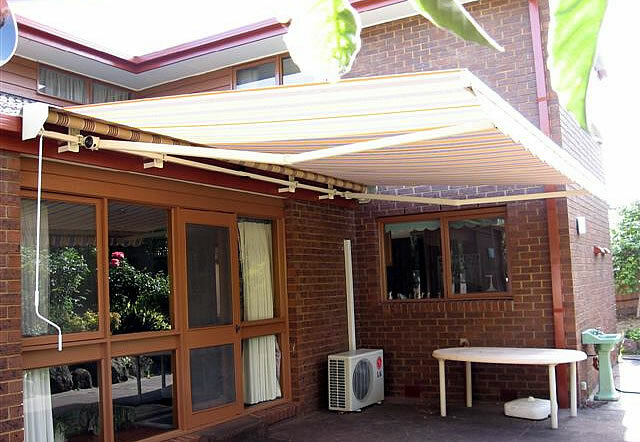 Extend your boundaries by creating a shaded space for your home or commercial property, completely unobstructed by permanent posts or beams. 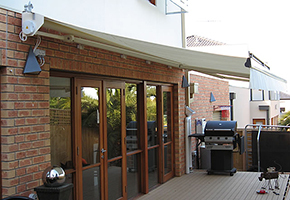 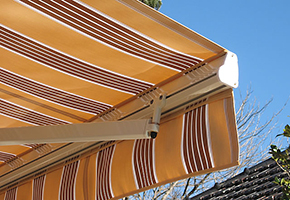 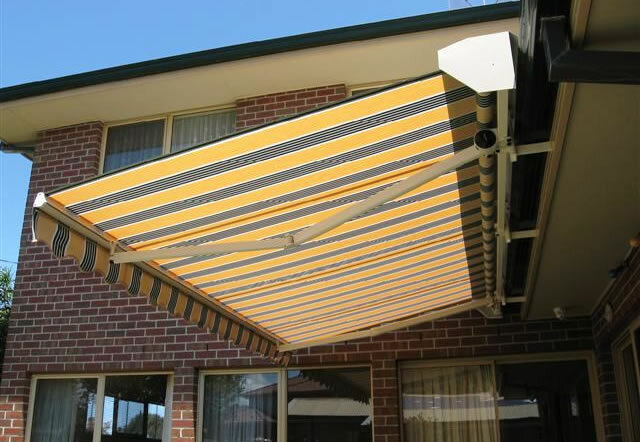 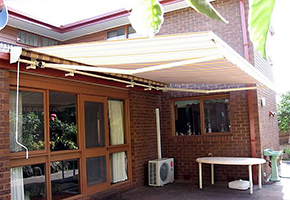 Eurotec's retractable awnings provide an in vogue extension to your shaded space and are particularly suitable for patio, balcony, swimming pool, terrace homes and café environments. 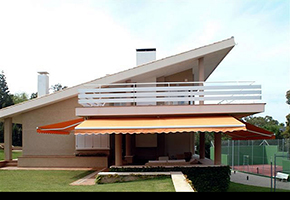 So, whether you are entertaining at home, or trying to further promote comfort for patrons at your café/restaurant, you can now do so with Mediterraneo M2 retractable awnings by creating natural climate control and allowing all to be sheltered from inclement weather and harmful UV rays. 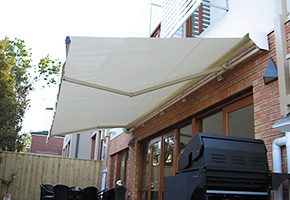 Ease of use in today's technological era is a must. A simple crank handle operation is available or if one wishes, an affordable and reliable motorised solution is compatible. 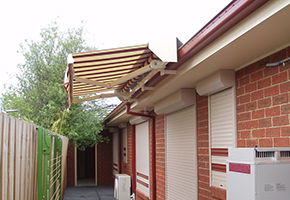 Jolly tubular motors, backed with a 6 year warranty is the answer. 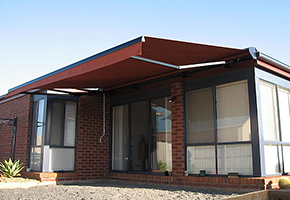 Flick a switch or walk around at your leisure with a remote control. 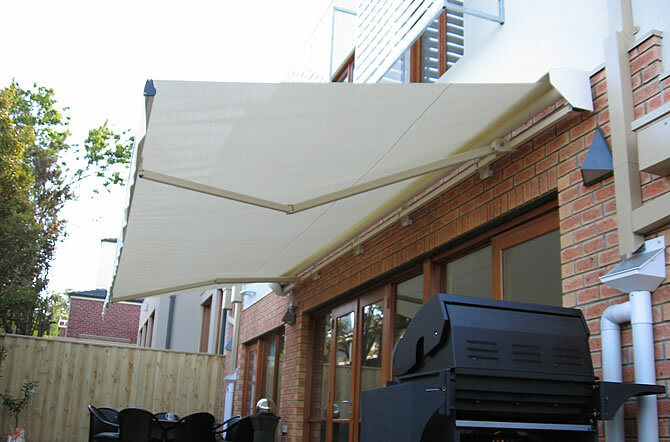 Wind, sun, rain sensors and timers can be incorporated for total ease of use.